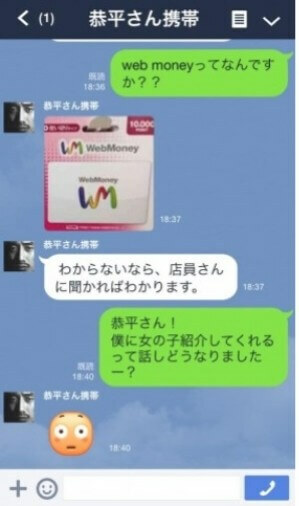 A recent spate of identity thefts of LINE users has been reported in Japan. Even celebrities have not been spared, as Riisa Naka found out the hard way. Subsequently, friends of some of these users with hijacked LINE accounts started receiving weird requests to purchase iTunes or Web Money prepaid cards for them. Why this weird request? Eventually, the ‘friend’ will coax you into taking a picture of the code so as to redeem the value. A colleague of mine, who was aware of the scam, played along and was told to purchase 4 x 20,000 yen worth of iTunes cards. That is a value of close to USD 800! Its an old trick that has taken a twist in the social media sphere. 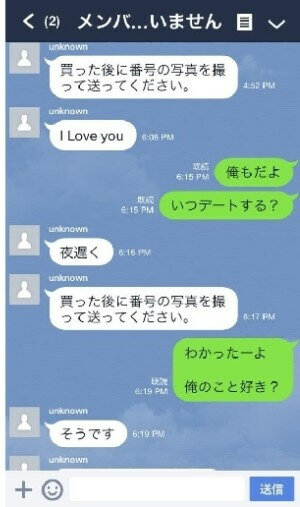 Due to the somewhat weird language and ‘textbook’ replies found in most of these scam messages, it is believed that the scammers themselves are not Japanese.